In addition to powering music education in America’s public schools, Energizer is also powering Americans’ playlists. Right now, specially-marked Energizer products contain a special code. Buy three participating products, then go online to www.nowthatspositivenergy.com/music and redeem for a $10 iTunes Gift Card. Energizer Holdings, Inc. [NYSE: ENR], headquartered in St. Louis, Mo., is one of the world’s largest manufacturers of primary batteries, portable flashlights and lanterns. Energizer is a global leader in the dynamic business of providing power solutions with a full portfolio of products including Energizer® brand battery products Energizer® MAX® premium alkaline; Energizer® Ultimate Lithium; Energizer® Advanced Lithium; Rechargeable batteries and charging systems; and portable flashlights and lanterns. Energizer continues to fulfill its role as a technology innovator by redefining portable power solutions to meet people’s active lifestyle needs for today and tomorrow with Energizer® Energi To Go® chargers for rechargeable portable devices; charging systems for wireless video game controllers; and specialty batteries for hearing aids, health and fitness devices, as well as for keyless remote entry systems, toys and watches. Energizer is redefining where energy, technology and freedom meet to bring to market consumer-focused products that power the essential devices that help people stay connected and on the go at work and at play. 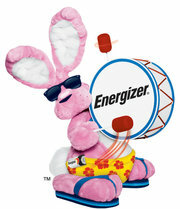 Visit www.energizer.com, www.facebook.com/energizerbunny. The VH1 Save The Music Foundation is a nonprofit organization dedicated to restoring instrumental music education programs in America’s public schools, and raising awareness about the importance of music as part of each child’s complete education. To date, VH1 Save The Music has provided more than $47 million in new musical instruments to 1,750 public schools in more than 100 cities around the country, impacting the lives of over 1.6 million children. The 2012 Ambassador Class - dedicated to raising awareness and funds to benefit The Foundation - includes: Amber Riley, Ciara, Jewel, John Legend, John Mayer, Kristin Chenoweth, Lifehouse and Sara Bareilles. Get involved at www.vh1savethemusic.com and follow us on twitter @vh1savethemusic. Tell me the title your favorite song. I like "Angel Eyes" by the Jeff Healey Band. 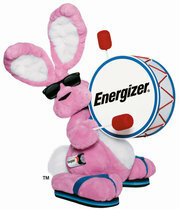 I follow Energizer Bunny on Twitter as svberges. Of all time it would probably be a Red Hot Chili Peppers song but right now it's The Show Goes On by Lupe Fiasco. I just love that song. Like Energizer Bunny on FB. And follow EB on Twitter. I love "cat's in the cradle" by harry chapin!